Customers using CRM 2011, 2013, 2015, 2016 or CRM Online can use our Auto-Update feature to download or initiate an update. All updates are free and simple to complete. For those signed up to get automatic updates, that is scheduled to take place on March 18. For full details on our new release, please see our 8.3.0 Release Notes and 8.4.0-8.4.1 Release Notes. Here is the recording of the new release webinar. Not all features are available for all versions of CRM. See release notes for more info. The web tracking script has been updated. You should update your web site at your earliest convenience. The current script will work, but there are items in the old script that are being depreciated by some browsers. Social posting is now available in ClickDimensions! Post your campaigns on your Facebook page right from CRM and always keep your followers up to date! Post immediately or schedule a post with text and/or an image to a Facebook page after setting up the Facebook connector. We'll be adding more social marketing features, so stay tuned! 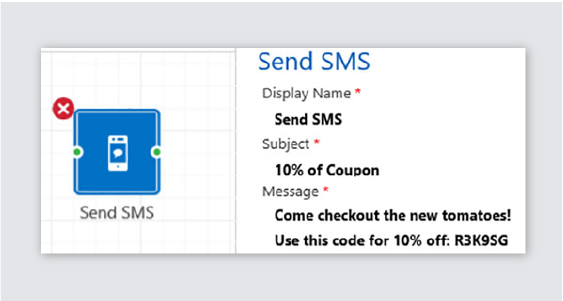 Amplify your engagement by combining automated text messaging with our powerful email marketing using the new campaign automation action - Send SMS! Add automated SMS sending to your campaign automation and send follow ups to your leads and contacts. 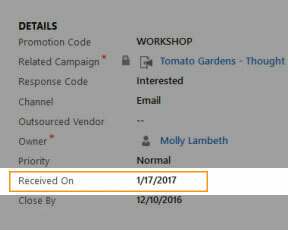 The Campaign Response action now automatically updates the "Received On" field in the Campaign Response record in CRM with the date/time it was created. Also, the Outsourced Vendor field can now be a contact or an account. 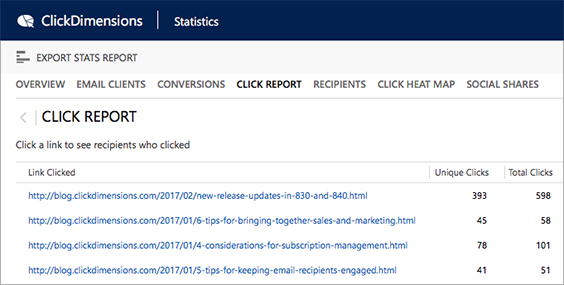 A new tab has been added to the email statistics window called Click Report. This tab will show you all of the links in the email and how many people clicked on each one. If you drill into the link, it will show you who clicked on that link and how many times each person clicked on that particular link. In the Email Statistics window, there is a new tab called "Recipients." This will show you everyone who was sent the email and their stats (like the Sent Email records, but just another place to see it along with the rest of the statistics). FreeMarker dynamic content is now allowed in the Reply To field. This allows you to have a different Reply To email for different people in the same email! 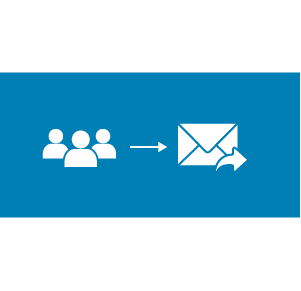 This functionality is also included in the Send Email action in campaign automations. To make the Email Send creation process a bit easier, we moved the Email Template field to the top of the form since this field auto-populates other fields if it is filled. Map text type form fields to any lookup field on contacts or leads. It will look for a record with the same name and set that as the value if there is one. If there is no matching record, the value will still be in the Posted Field. Examples for how to use this feature can be found here. 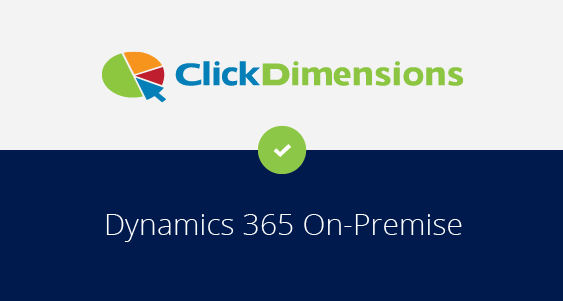 ClickDimensions can now connect with Dynamics 365 on-premise environments. If you've updated to Dynamics 365 and have not yet notified us, please do by submitting a support ticket here. Within a campaign automation Participants Tab, the description column will now show an error message if the participant's instance failed, making it easier to tell what went wrong if something does. A new view for Canceled Events was created to make it easier to see all canceled events in one place. A grid of marketing lists was added to the Subscription List entity form, allowing for easier setup of subscription lists. And a grid of subscription lists was added to the Unsubscribe entity form, allowing for quick access to what subscription lists someone is unsubscribed from. The Run Campaign Automation window accessed via the contact or lead record is sortable and easier to use. The "Question" field on Survey Questions is now searchable. We increased the number of rows for the Posted Field grid on Posted Forms and the Survey Answer grid on Posted Surveys. If the numbers in the campaign automation statistics tab are over 10,000, they will be easier to read. Long SMS messages are no longer automatically split. The split (if any) is left up to the SMS provider to do. A "Status" column was added to show if a connector's credentials have expired. If they have expired, you will need to reauthenticate. The Import Log view has been updated to have more useful columns. A new entity called User Session was added to increase security. There are more updates and enhancements included in these releases that are not highlighted in this email. And as always, we have also implemented several smaller improvements and fixes. For a detailed break down of all the updates, please see our 8.3.0 Release Notes and 8.4.0-8.4.1 Release Notes. 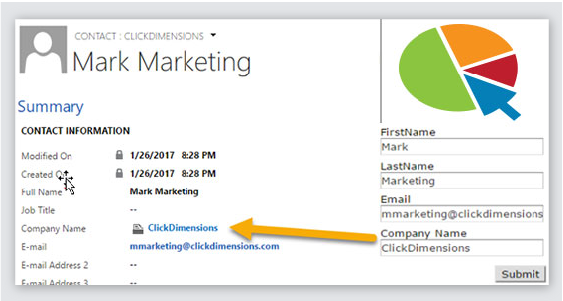 Sign Up To Always Receive ClickDimensions New Release Notifications!